I read on Avian site that this bird is a thief. I watched its behavior and there was some indication that he was. everything is superbly done in this image, excellent work KARL. Karl, Very nice details and complimenting BG. Like that the perch is not too big. Great image, very nice pose. Good story Karl. Good comp and placement. Karl, love where you placed the woodpecker within the frame, and your allowing space for the bird to look through — great composition. 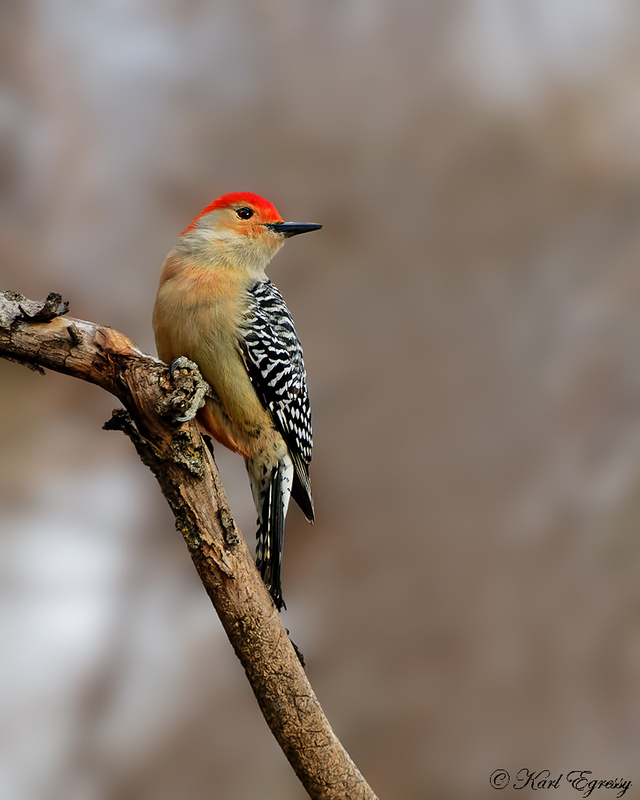 Also, the fine background sets off the colorful woodpecker beautifully. Very well done! Really nice shot Karl, with a great back looking pose. Great detail and colours here.